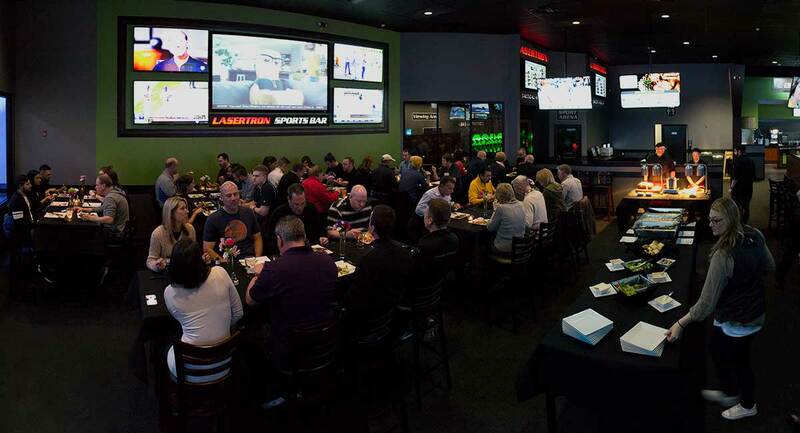 The best way for you to experience and fully understand what makes LASERTRON a dramatically better choice is by attending our LASERTRON Conference. One of the key benefits of going to our conference is your ability to play LASERTRON - the coolest laser tag game experience in the world. No other laser tag company and arena provider has the proprietary products and services that we can provide your center and most importantly your customers. The reason LASERTRON can provide you with a truly unique laser tag attraction is because the other laser tag equipment manufacturers use the same two or three arena suppliers. Those arena suppliers build similar looking arenas. Their arenas are designed using black lights with perimeter wall murals, wall partitions, and obstacles that are painted using the same UV paint. If you visit their websites and look at their arena photos, while ignoring the name at the top of the webpage, you will have a hard time figuring out which company’s website you are on. Their arenas look the same. Only LASERTRON took on the challenge of building all the pieces required to create a truly unique laser tag attraction for your center and customers. While attending our conference, you will be able to experience LASERTRON in two different giant multi-level LASERTRON LED Illuminated arenas. You will be able play multiple LASERTRON game formats in both our Tactical and Sport arenas. You will see firsthand why LASERTRON is the only company that can provide you with the most advanced laser tag game system combined with our proprietary arena system with multiple patented arena components. A LASERTRON arena gives you the ability to provide your guests with the coolest and most advanced high-tech LED Illuminated arena that can actually change colors and activate other special effects lighting based on what is actually happening during game play. Another important benefit, is that our arena components enable you to easily reconfigure your arena over time. You can easily add new components, create new obstacles, add new towers and bases, or redesign your existing towers and bases. We develop new arena components and wall designs every year. Each new component or part is designed to interconnect with all your existing components. You can even develop your own arena layouts and obstacle configurations. In addition, our conference provides you with multiple opportunities to learn about our management and operational systems and why they work. Most importantly, you will be able to see and experience them in action in a fully operational LASERTRON entertainment center. Our conference is constantly changing and evolving. We bring in new and different speakers to provide our existing clients and prospects with important and unique perspectives on what’s new and changing in our industry. We also work with several partners who can provide you with assistance in successfully launching your new venture or improving your existing center. Experience all that we have to offer in our newest company owned store in Rochester, NY. Play LASERTRON’s LT-12 Game System - Experience LASERTRON’s proprietary Pick Your Own Power-Ups as well as play Zombie, Dodgeball, Team Elimination with ReSpawning, and many other game formats. Tour and Experience LASERTRON’s Sport and Tactical laser tag arenas. See LASERTRON’s Point of Sale system in action. Sign up to play LASERTRON using our Kiosk Registration System - The kiosk system allows you to easily collect customer data, emails, and much more. Learn how LASERTRON’s Membership and Loyalty Software helps bring back your customers more often. See how LASERTRON’s Online Reservations, Payments, and Booking Software works and how it brings in more business while you sleep. Learn more about LASERTRON’s Design Capabilities - The LASERTRON center in Rochester, NY was designed by our design team. 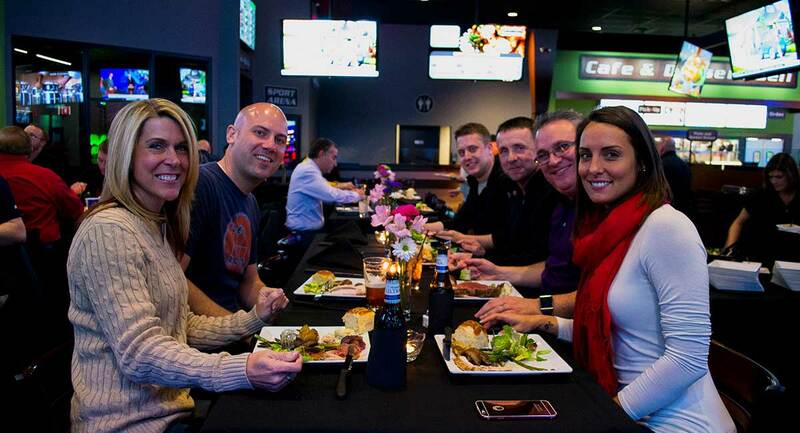 You can experience all the above plus we provide multiple opportunities for you to have fun and socialize with existing LASERTRON operators as well as our entire LASERTRON Team. President and Chief Executive Officer at Moute Point Inc.
Director of Enthusiasm and Opportunity! for Amusement Consultants Ltd. and New Roc Entertainment L.L.C. Executive Director of Mountasia and General Manager of Skateland.